Another recession is coming, and you better be ready. According to the Nationwide Retirement Institute, a recession occurs at least once every five years. While a recession is considered a natural occurrence in the economy, the aftermath of its effects can be devastating. This is why when this word is mentioned, everyone scampers for safety. You can avoid the biting effects of this experience to some extent. One positive thing is that financial experts can make a forecast on when the next recession will hit. According to some of them, another economic downturn is about to hit from 2019 to 2020. Don’t panic though. This article will show you 12 ways to fix your roof before the storm. During good economic times, life seems to be easy. You have enough money to take care of the household expenses. You even have some surplus to spoil yourself with a well-deserved vacation. Even so, you could still be left without a dime when an economic storm hits. For this reason, you need to track your spending. If you don’t, most of the time you won’t even know what you spent money on. By tracking your spending, you’ll have a clear picture of what happens to those dollars. Also, you can close the leaking financial holes in your budget and channel those funds toward more beneficial activities like investments. Keeping tabs on your spending isn’t tricky, but if you feel overwhelmed, use a budget-tracking app. After identifying all the loopholes in your budget, you can use the surplus amount to pay off any debt. Debts are the biggest hurdle to any citizen toward financial freedom. Many Americans fail to achieve their dreams due to a heavy debt burden. By cutting back on spending, you have the chance to clear any outstanding debt. As a result, when the recession hits, you won’t have to tighten your budget as much as you would have before. When the great recession hit, data from the Bureau of Labor Statistics showed unemployment hit 10% in October 2009. This may sound like a high rate, but it only translates to one in ten people. It’s important to stay on the good side of your employer to avoid losing your job at a time when you need it the most. One of the ways to keep your employer happy is by increasing your value to them. Take up a new course which can add to your skills and improve your versatility. This way, you become an asset to your employer. When recession hits and the axe of unemployment starts falling, you’ll be safe. This point cannot be overemphasized. You must have an emergency fund. Period. You cannot predict an emergency, but you can prepare for one. Try and avoid a situation where an emergency hits and you don’t have any money to fix the problem. This is how people end up in debts. According to various financial experts, it’s advisable always to have an emergency fund of at least nine months to cater for living expenses. This won’t be a walk in the park, but it’ll go a long way in cushioning you against harsh economic times. Before an economic downfall, it’s crucial for you to have an emergency budget ready. This will be easier if you already know how to prepare a reasonable budget. An emergency budget works the same way as a normal budget; only this one looks at how you’d spend your money, should you encounter financial constraints. This can be due to a job loss or even taking a pay cut. In this budget, your expenses should range between 20% and 30% of your usual budget. This will allow you to know whether you can pull through a financial coma or not. Sometimes when you have more than enough money, you tend to lose financial discipline. On-time payments are no longer a concern because they aren’t affecting you momentarily. If you have a stain on your report, however, your credit score will take a nosedive. A low credit score can be a hindrance to acquiring a loan when you need it the most, which is during a recession. Don’t think that financial institutions don’t give out loans during such times, they do. Therefore, it’s vital for you to maintain an excellent score. Taking out loans during an economic downturn can be quite risky. If you decide to apply for a loan, visit nation 21 loans, make sure you can repay it. For example, if you take out a loan to buy a certain asset, make sure to do your research. This asset should be able to pay off this loan with some leftover. The primary objective of purchasing insurance is to protect against uncertainties. A recession is an excellent example of uncertainty. Take time to go through your insurance coverage to make sure you’re adequately protected. On top of that, you don’t want to pay more on premiums. This is because, during harsh economic times, your budget will be tighter than normal. On the other hand, you also don’t want to take a cheaper coverage and end up with extra costs at a time when you’re in dire need of funds. Tough times call for tough decisions. This is why you’ll have to consider taking on a side job. This will go a long way in supplementing your income. Some of the side jobs you can take on include tutoring students, starting a business or even using your professional skills as a freelancer. Recessions come with numerous adverse effects one of them being job losses. 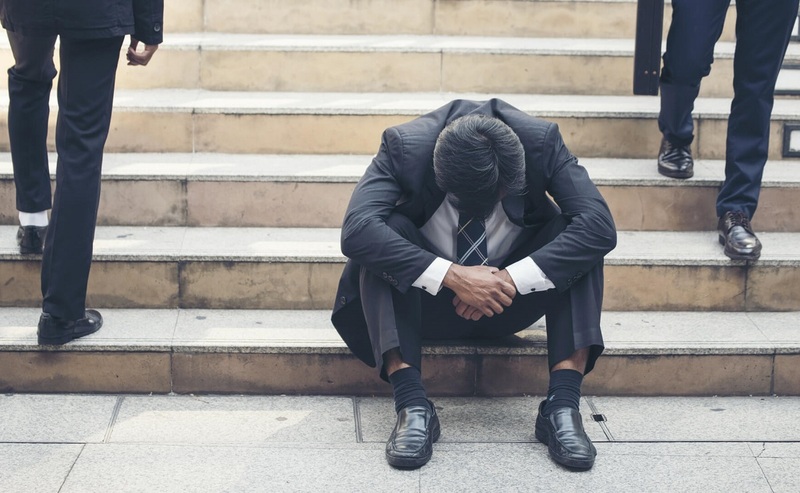 If you fall victim to job loss, you want to ensure you have another source of income. In 2016, the IRS made about 111 million federal income tax refunds. This is about $2,860 for each taxpayer. In 2017, about 70% of all refund requests will be approved. This is like issuing a loan to the IRS and then later in the year, taxpayers get their money back when filing tax returns. When you don’t have a pressing need, this is not an issue; however, when times get hard, you’d rather have the money in your pocket. To do this, you have to review your withholding by completing a W-4 form and then submitting it to your employer. An investment strategy is a plan you’ve already tried and tested before. It’s something you’ve used for years. While going through your stocks during an economic crunch might be saddening, this isn’t the best time to second guess your strategy. Instead, take advantage of new valuations which will enable you to make profits when the situation goes back to normal. During recessions, real estate prices take a nosedive. This is a brilliant opportunity for you to buy a home if you have been renting. The Bureau of Labor Statistics revealed that between 2005 and 2008 house prices dropped significantly. This was after a decade of constant growth in the prices. What’s more, if you have strong credit, you can still negotiate for better rates when applying for a mortgage. Be a forward thinker and grab this opportunity. Recessions are inevitable. It doesn’t matter when one hits, the most important factor is your preparedness. The tips outlined in this article will go a long way in providing some peace of mind the next time the economy slows down.